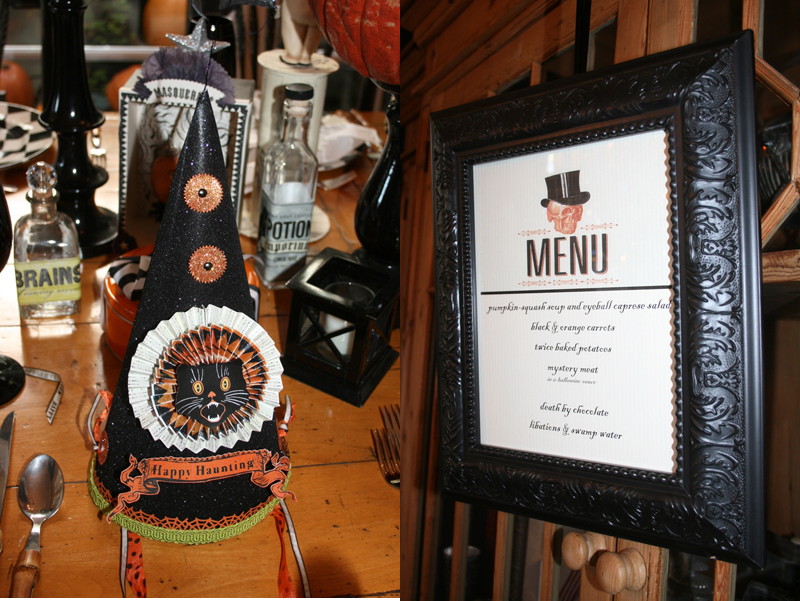 I’ve said it a million times, but this blog is really a showcase of my mom’s creativity! She blows me out of the water. 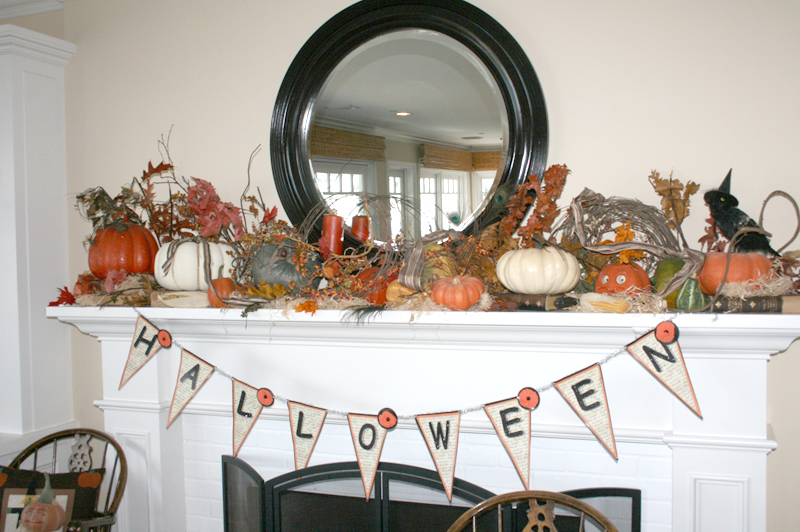 Case in point, her Halloween decorations. The photos do not do this table justice, but it is the coolest set-up I’ve ever seen. 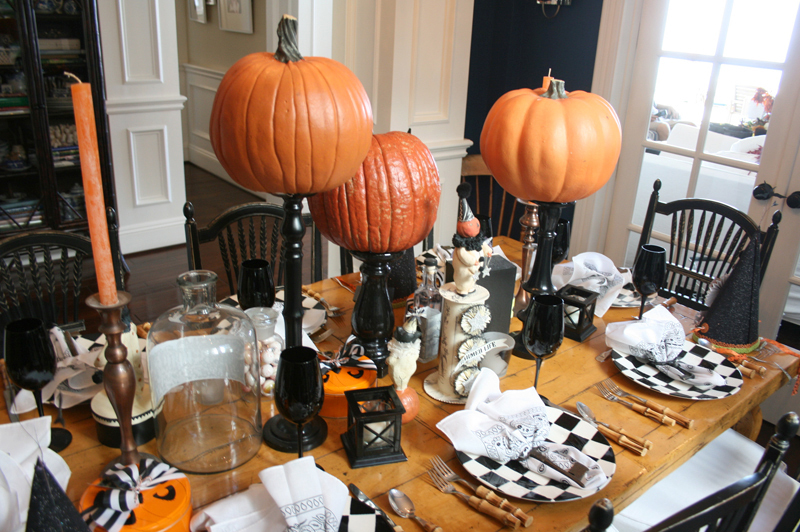 I LOVE the pumpkins on candlestick holders. The black glasses are my favorite… I’ve been coveting them online for a long while so I am thrilled she just bought them. Totally stealing those soon! I love how she always just uses random pieces here and there. 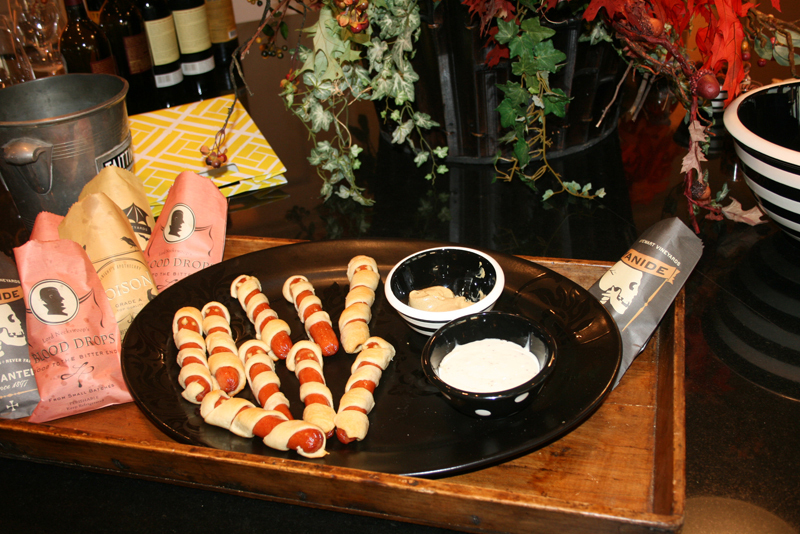 A huge key was used for a napkin ring and a white and black bandana was the napkin. Such a funky touch. 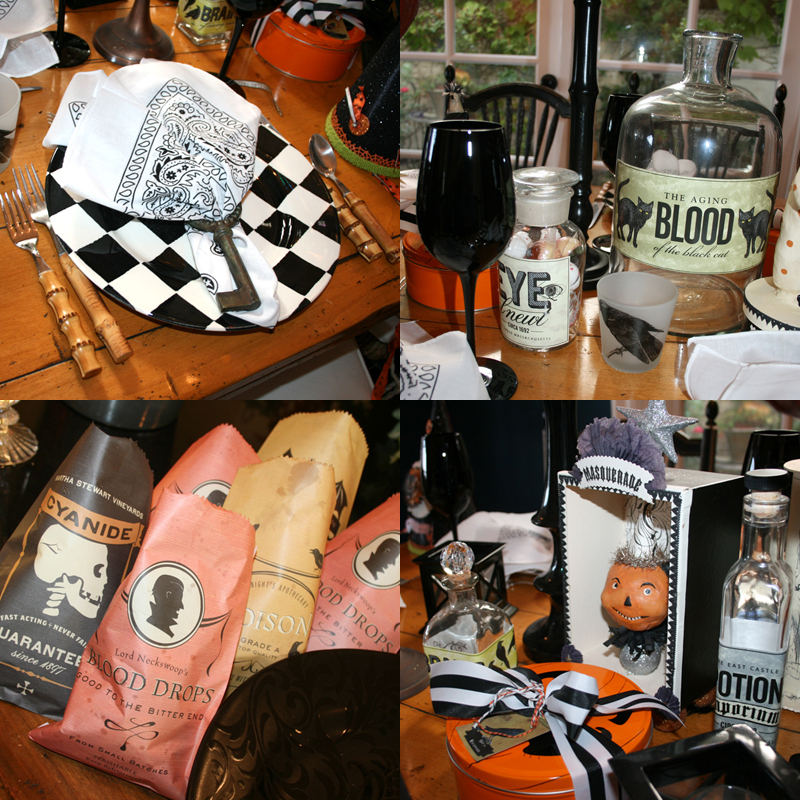 I don’t think many people would have thought of a bandana for a Halloween tablescape but she just thinks like that. I love it. This particular day she was having a few friends over for dinner and made funky hats for each of them to wear. Yes she made that. And yes, she should sell them on Etsy. 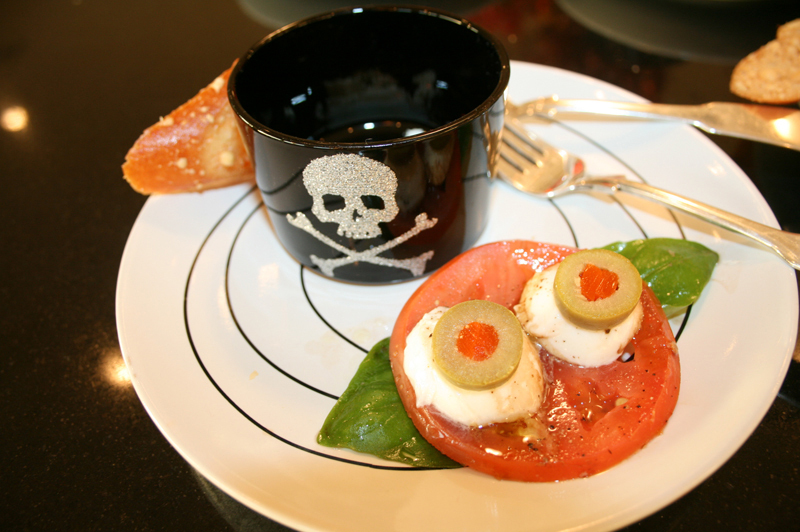 She served soup in skull votive glasses (this photo was taken before the soup was in it) and made eyeball caprese. Spooky! 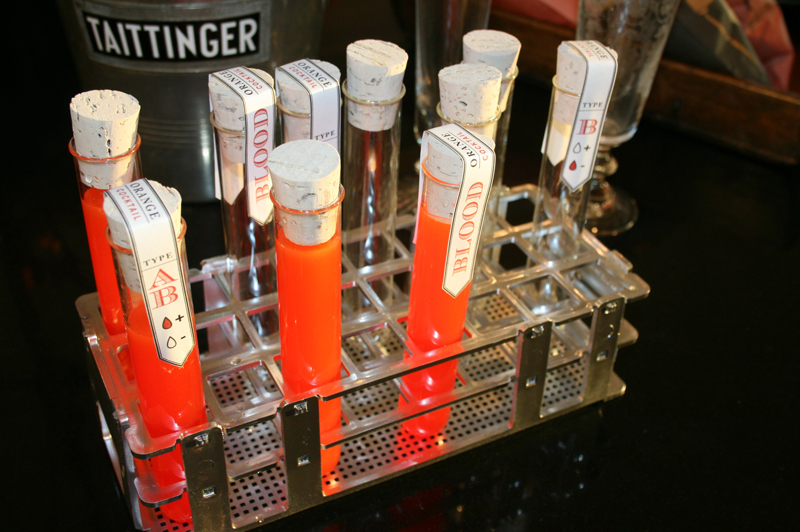 “Blood” shots to drink and Mummy dogs to eat rounded out the appetizers. It sounds like they had a great time. 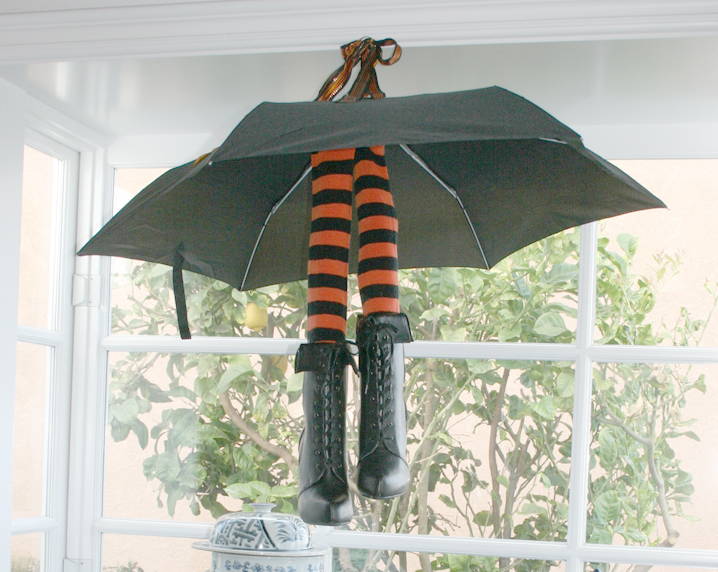 One of the things she copied from pinterest were these totally adorable witch feet made from an umbrella that hung over her sink. I totally love this. Her mantle always looks incredible. This hutch greets you as you walk through the front door. 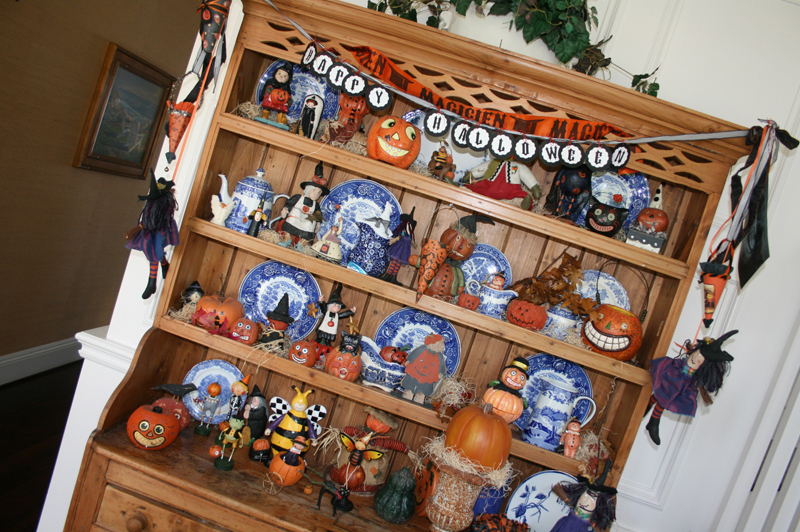 I love the blue plates mixed with all the Halloween stuff. 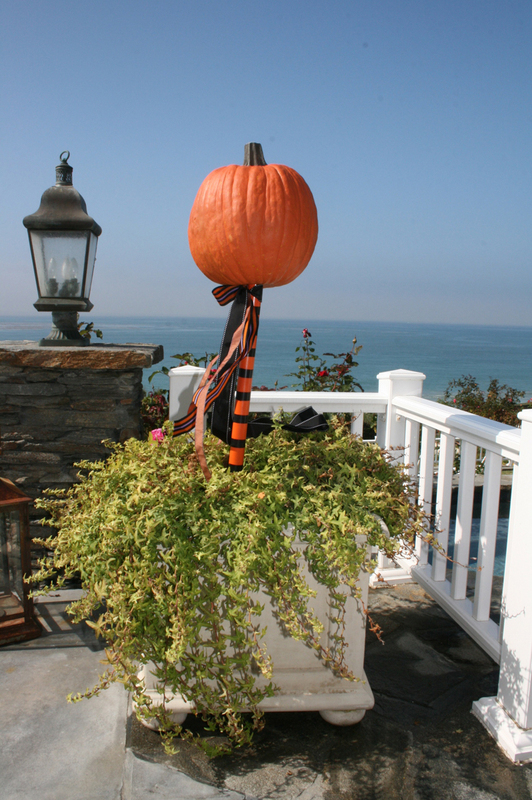 Pumpkins on sticks to finish up. She’s insane. 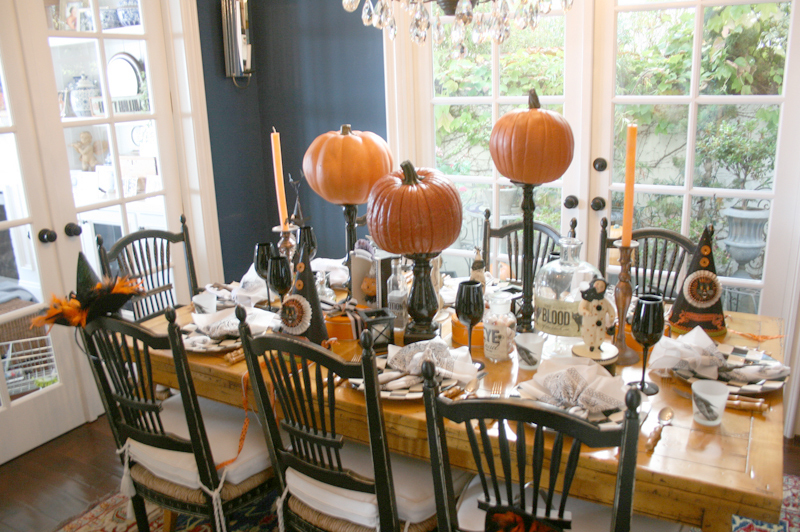 Hope you got some fun ideas for your Halloween party! 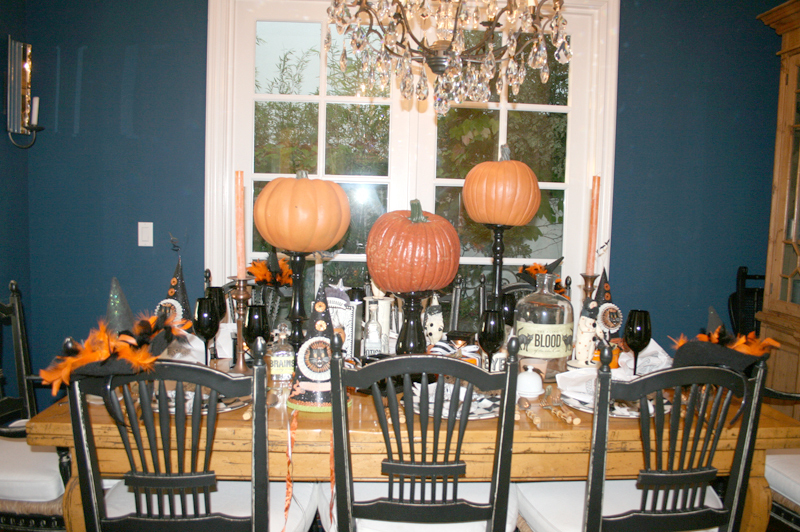 This entry was posted in holidays and tagged halloween decoration, halloween party, halloween table, halloween tablescape, pumpkin centerpieces, pumpkin decorations, pumpkin tablescape by Annika. Bookmark the permalink. Your pictures are so beautiful! Your mom seems to be an amazing hostess. Maybe I can do something like this when I grow up. Thank you for sharing!